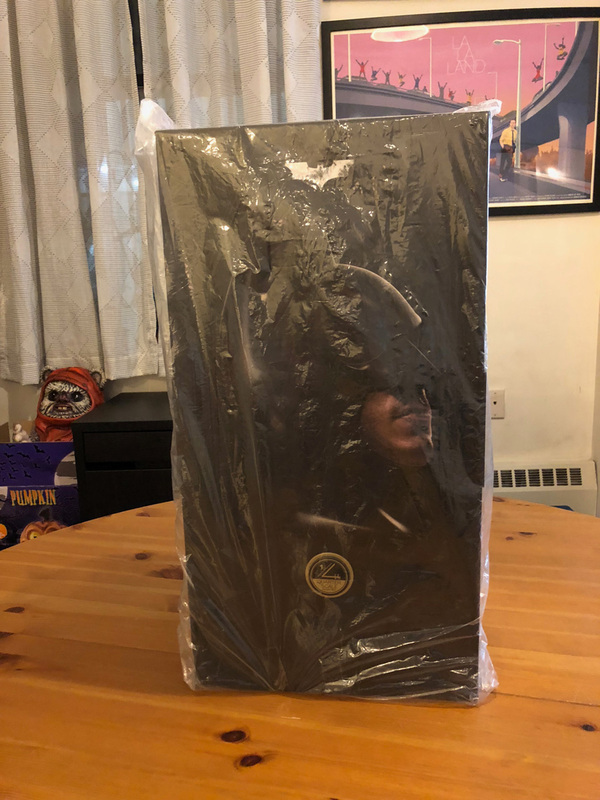 Today marks the 80th Anniversary of Batman, and to celebrate Sideshow Collectibles has provided ComingSoon.net with the chance to unbox their Hot Toys Batman Begins 1/4 Scale Figure! You can check out the incredible detail of the figure in our gallery below (alongside previously unboxed Sideshow items), and for a limited time get $40 off with the code BEGIN40! Click here to purchase the Batman Begins 1/4 Scale Hot Toys Figure from Sideshow Collectibles! 2005’s Batman Begins marks the beginning of one of the best superhero trilogies of all time. Fans around the world are fond of the story of Batman, his path to stop crimes in Gotham City and of course the Batsuit. Directed by world-renowned filmmaker Christopher Nolan and starring the fan-favorite actor Christian Bale, the Dark Knight trilogy has gone on to become a timeless classic for Batman fans worldwide. Sideshow and Hot Toys are pleased to offer the quarter scale Batman from Batman Begins! The incredibly detailed Batman collectible figure stands about 47 cm tall. 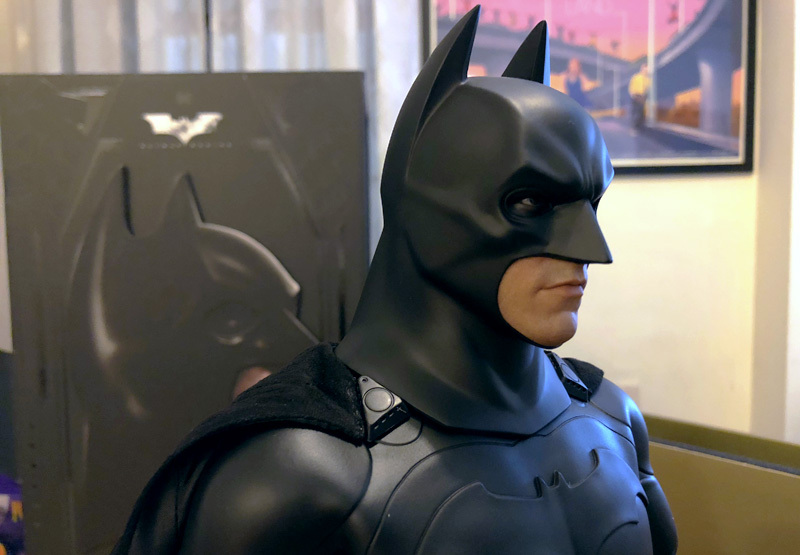 It features a newly developed head sculpt with the astonishing likeness of Christian Bale as Bruce Wayne, an alternate Batman head with 3 interchangeable lower faces, a meticulously tailored and highly detailed Batsuit, a detachable climbing harness and wearable balaclava, a magnetically attachable cape, an assortments of Batman gadgets and accessories, as well as a specially designed Batman Begins themed figure stand. The 1/4th scale Batman collectible figure is a timeless masterpiece, it is definitely a treasure for all Batman fans.